As a young man, Anthony Ogilvy, Earl of Leighton lost his heart to his best friend’s older sister but Portia Bascombe had her heart set on another. Heartbroken by her betrothal and drowning in guilt over his part in an accident that brought scandal and tragedy to her family, Anthony took himself off to the continent to battle Napoleon. Thirteen years later, a chance encounter reunites the pair and Tony realizes his feelings for the lovely widow are stronger than ever. Widowed by the death of her philandering husband two years earlier, Portia isn’t anxious to repeat the marital experience but can’t help but be attracted to the grown-up Tony. Desire between the two sizzles but the obstacles to the happy ending Tony desires are many. There’s the six-year age difference between them, the scandal of Portia’s brother’s death in an accident for which Tony blames himself, the fact that Tony’s mother is determined to marry him off to a fresh-from-the-schoolroom innocent, and a pesky suitor of Portia’s who refuses to give up. Then there’s Portia herself. Will the feelings deepening between them give her the courage to ignore the critics and claim her happiness? At 56 pages, this novella is a tasty snack between full-length books from Collins; a quick, but satisfying, read with engaging characters, a sensual love story and a twist that I didn’t see coming. It reminded me of just how much I enjoy Collins' wit and well-developed characters and of how much I'm looking forward to the April 5th release of the next book in her Lords of Anarchy series, Good Dukes Wear Black. 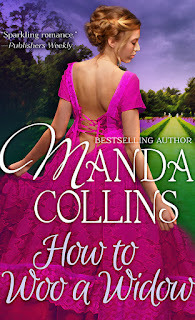 I enjoy Manda Collins's novels so this "little snack" sounds delicious! I'm looking forward to indulging in it! Hope you enjoy it as much as I did, Connie! I think Manda has a gift for novellas. This one and her Christmas novella are among my favorites by her. I don't think I've ever read anything by her, but this sounds really good! I'll be checking it out. Great review! 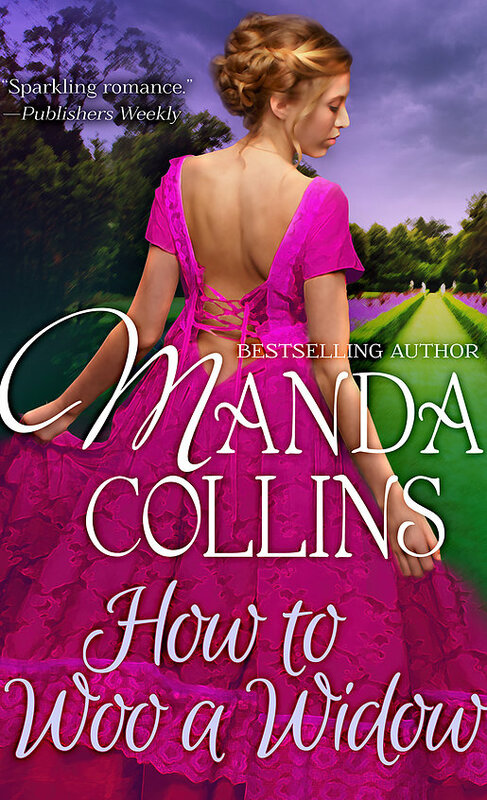 I enjoy Manda's books, and wish that this was available in print.